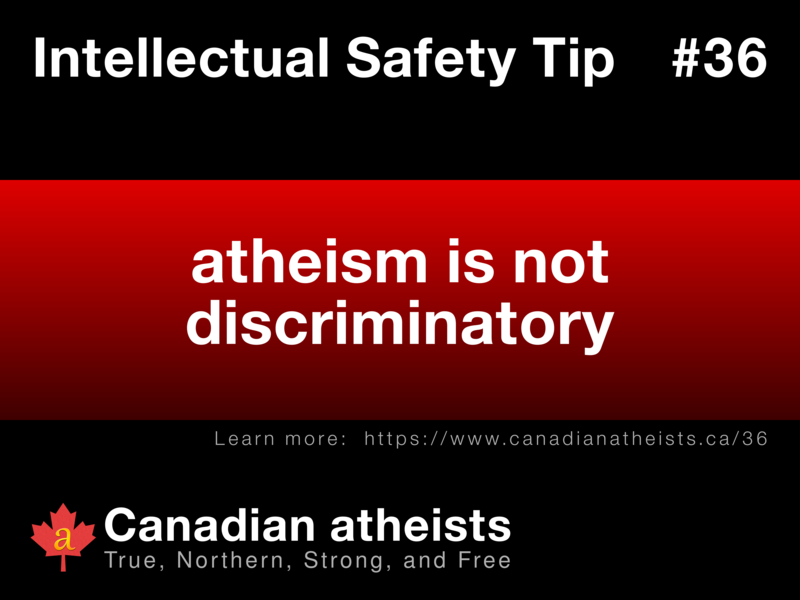 Nothing in atheism promotes discrimination. 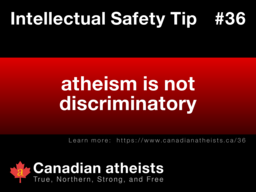 As a classification, while the only requirement for being an atheist is the "absence of belief in deities," this cannot be used as an example of discrimination because the characteristic of exclusivity is not implied since everyone is free to choose whether or not to be an atheist. 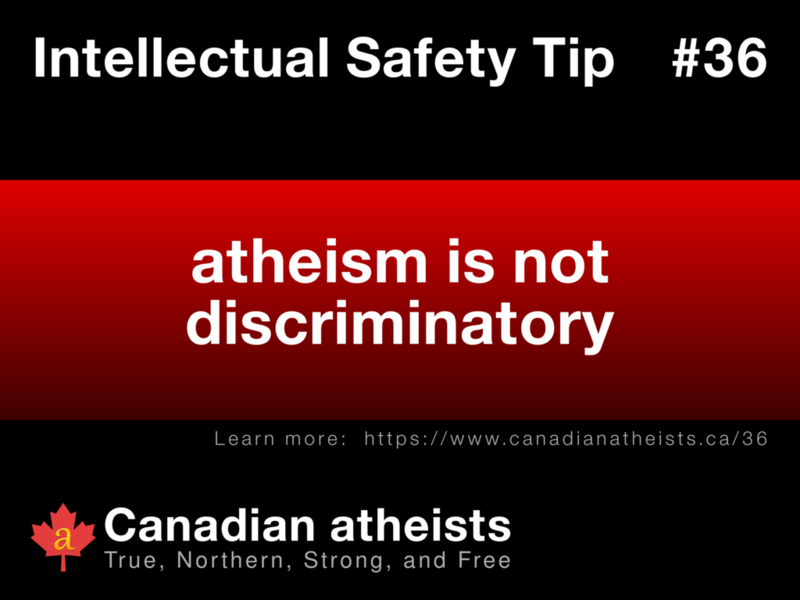 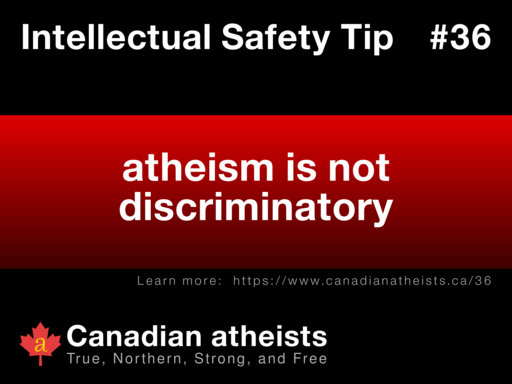 There are also organizations like the Canadian atheists who welcome everyone.